Hos Dorte: S is for Stocking and/or Sketch, DT card for ABC Christmas Challenge. 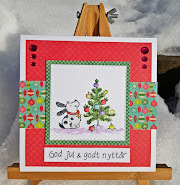 S is for Stocking and/or Sketch, DT card for ABC Christmas Challenge. S is for Stocking and Sketch! a sketch from any challenge, past or present, and add it to your blog post. So this challenge was an easy one for me. the DT some images for this challenge. Thanks a lot. and his lovely little toes coming out of the sock. Maja Design, and added a sentiment from LOTV. but I do need some more colours. twine and a button, easy peasy! Well, my usual back side with my personal stamp. 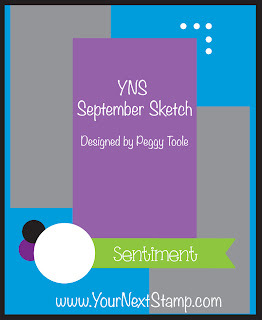 I have used the September sketch from YNS. I am useless without a sketch! o what a fun and great image Dorte he is cute and a fantastic card. Fabulous card Dorte - what a super image. Thank you for joining us over at Totally Gorjuss - just wanted to let you know that we are having a DT Call so if you are interested please leave a comment on the blog. Cute! Thank you for playing along with our YNS September challenge! I love your card Dorte, that image is so darn cute!! Oh my, what cuteness! How can anyone not smile at that image???!!! Great take on the sketch with those patterns and colors. Thanks for joining us at YNS!!! Fabulous card! The colors are awesome and that image is so cute! It made me laugh! Thanks for playing at My Craft Spot! So cute! LOVE that sweet image - and the pretty colors you used! Thanks for joining us at My Craft Spot this week!!! What an absolutely gorgeous card, great use of dies and punches. 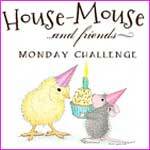 Thank you so much for entering my challenge theme on an Oldie But A Goodie, and good luck! Fall Float, A mid-way reminder for HM&FMC.